Some say there is no such thing as bad pizza, but we beg to differ. When it comes to pizza there is definitely a bad, good and the best! Amsterdammers love a good pizza. And despite the abundance of chains like Domino’s and Italian knock offs, we’ve got plenty of real deal pizza restaurants in town too. You know what we’re talking about: a perfect crispy crusts, loaded with fresh toppings, often from a traditional wood oven. 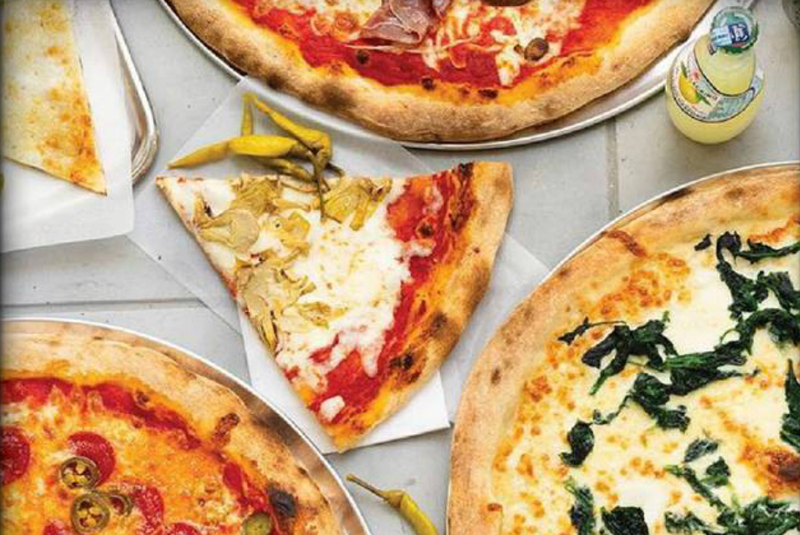 Read on to find out where to get these in our 10x Best Pizza in Amsterdam guide! There is no best pizza in Amsterdam list without Renato’s Pizzeria on there. 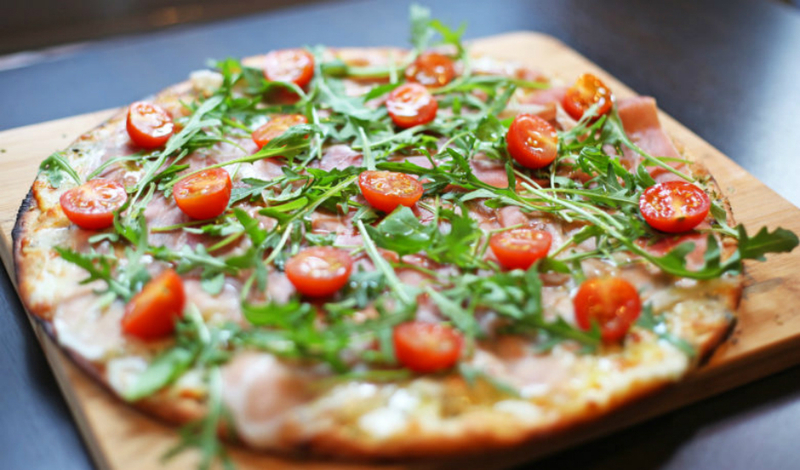 This local favorite in De Pijp district is a go to when it comes to authentic Italian pizza. At Renato’s it is all about simplicity and quality, with the use of ingredients imported directly from Italy. On the menu you’ll find a fine selection of tasty dishes with out of the box toppings for both vegetarians and carnivores. When it comes to meat the chefs at Renato’s go all out. One of our favorites is the Cicciolina with spicy salami, pancetta, grilled bell peppers and chili. But the For the Vegetariana with grilled vegetables and parmesan cheese is also highly recommended. All is served with a smile and knowledge of a beautiful selection of wines to pair with your food. If you’re on the west part of town: you can also find Renato’s pizzas at the Foodhallen. Sotto is known for their unique chewy but crispy bottom, which makes their pizza’s truly delicious. When talking to the owners we found out that the passionate owners learned their craft from Neapolitan pizza masters, and you can taste that. Two favorites are the classic Margaritha and the Tartufo with Coppa di Parma and truffle cream. You will want to come back for more after you’ve had dinner here! 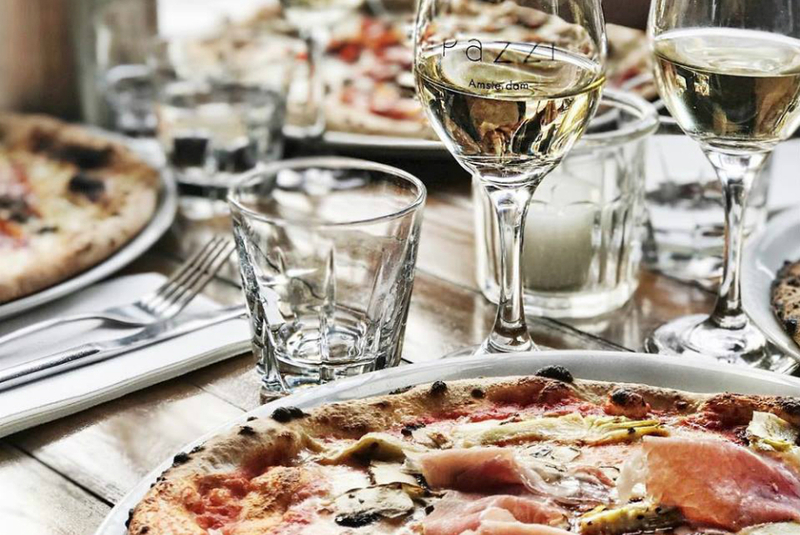 LouLou Pizzabar, to some known by their former name LaLotta, has been awarded best pizza in the Netherlands. At LouLou they want to restore the authentic way of pizza making and do it the most healthy way possible. Their dough is made from high-quality flour and can even be ordered gluten-free. This, combined with home made tomato sauce, mozzarella and fresh toppings, makes their pizza into some of the best you’ll taste in Amsterdam. Our favorite from the specials is the Arabica with spinach, goats cheese, pomegranate, aubergine and almonds. But whatever you’ll choose here will be worth it! Toni Loco is the odd one out in this list. 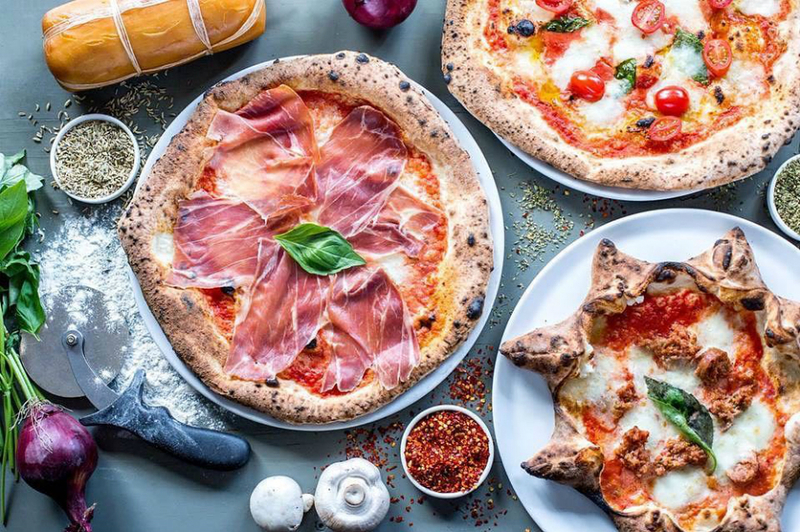 This small restaurant combined Italian and American pizza into steamy delicious creations. They are located in De Pijp area on the Albert Cuyp Market and make for a perfect spot for a quick lunch or dinner after sightseeing and shopping. You can choose between a (huge!) single slices or full New York style size pizza. They have six options on the menu, or you can choose to create your own by adding your favorite toppings. How about spicing it up with ham, jalapenos, spinach or bell pepper? They have all ingredients needed to create your perfect pizza. Another special thing about Toni Loco is that they serve some fine champagnes and wines per bottle. Turn your meal into something special with a Misty Cove Pinot Noir 2007 or go all out with a Dom Pérignon 2009. 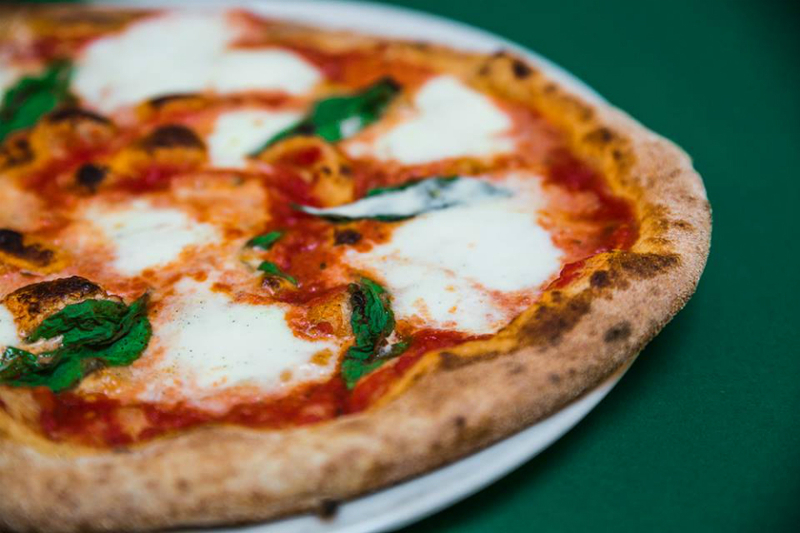 La Perla is often mentioned by Amsterdam locals as the best place to get Italian pizza. In the bustling Jordaan district you’ll find this small spot offering traditional Italian dishes. During lunch time they serve delicious sandwiches loaded with fresh ingredients. They try to work with regional produce as much as possible and get authentic ingredients delivered straight from Italy every week. Combine their pizze or pasta with a good glass of wine a delightful dining experience. The Pizza with ‘nduja (spicy salami), oregano and spicy oil made in the wood oven in the middle of the restaurant is a must try! The Pizzabakkers has a golden formula: Pizza & Prosecco. All of their pizza’s are prepared with carefully chosen ingredients from family businesses in Italy. A fresh salad or Burrata as an entree, the Da Noi Pizza with bell pepper cream sauce, sausage and pecorino as the main course and their heavenly tiramisu for dessert. What more do you want? They have 6 locations all over town, so wherever you are, you’ll have a Pizzabakkers near you. At Pazzi Italian delicacies are prepared with love. The recipes are ones that have been around for hundreds of years and are now transferred to the next generation of ‘mammas’. Expect delicious antipasti to share with the table and wood-fired pizza’s made with their unique dough. The favorite here is the Quatro Fromaggi with mozzarella, gorgonzola, goat cheese and caciocavallo (smoked cheese). Jum! 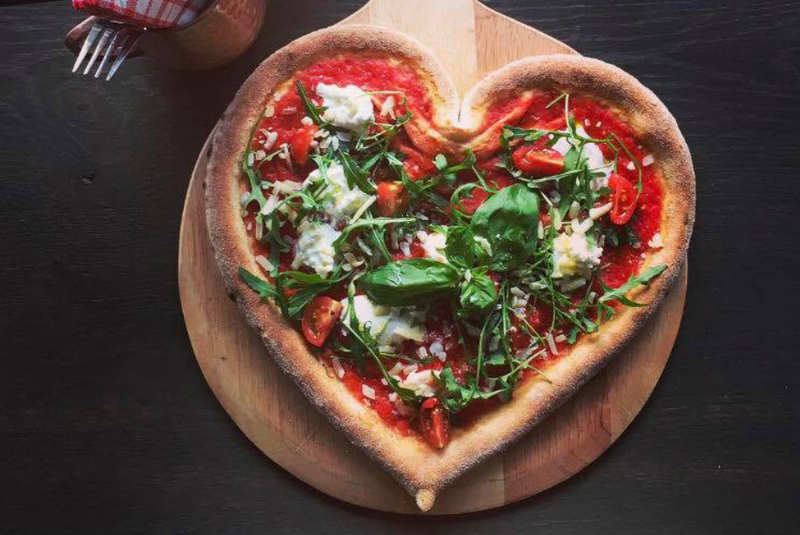 The Pizza Heart Bar has something special on their menu: Vegan Pizza. And they are amazing! Not only do they make Amsterdam’s Vegans very happy, they also make eating out with a group of vegan and non-vegan friends a little easier. The tasty wood oven pizzas come with a thin crispy crust and a wide range of toppings. Our favorite is the Daviola with spicy Italian sausage, bell pepper and dried peperoncino. From the vegan menu the Colori with vegan mozzarella, spinach and olives is a must try! 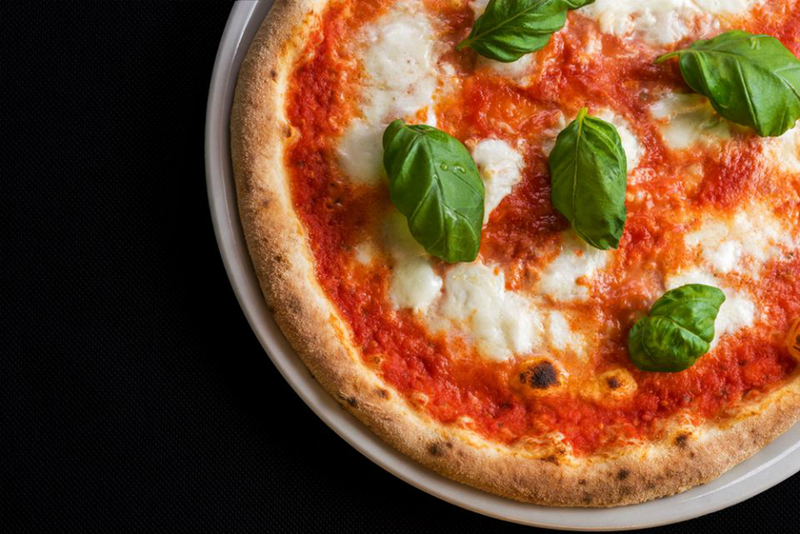 Mama Dough is a favorite in Amsterdam East for its burrata and delicious pizza. They have over 17 options on the menu, including one for the plant-based eaters and a special kids version. We recommend you to try the pizza bianca with cime di rapa, homemade sausage and smoked buffalo mozzarella. Not your average because there is no tomato sauce on this one but definitely worth the try! A Cannoli or espresso martini after that and it’ll be the perfect Italian dinner. Il Pecorino is an authentic trattoria located on the North part of town. All dishes here are served with Italian flair and accompanied by Italian drinks. From the wines to the beers and soft drinks, it’s the real deal! Yes, the antipasti and pasta’s are good but you really want to try their pizza. 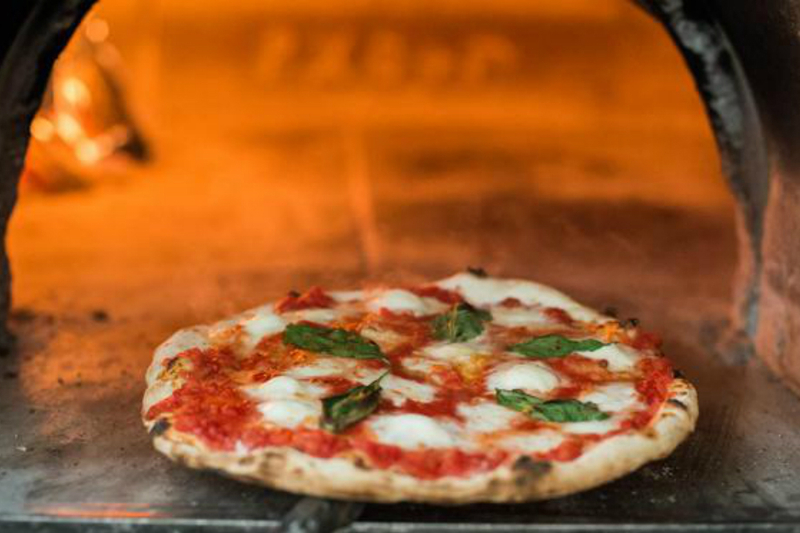 Their Neapolital wood oven pizza’s are made by traditional recipes with a thin crisp crust. Save some room for dessert though, they have Bonet Piemontese. An amazing Italian chocolate pudding that you won’t find on many restaurant menu’s. 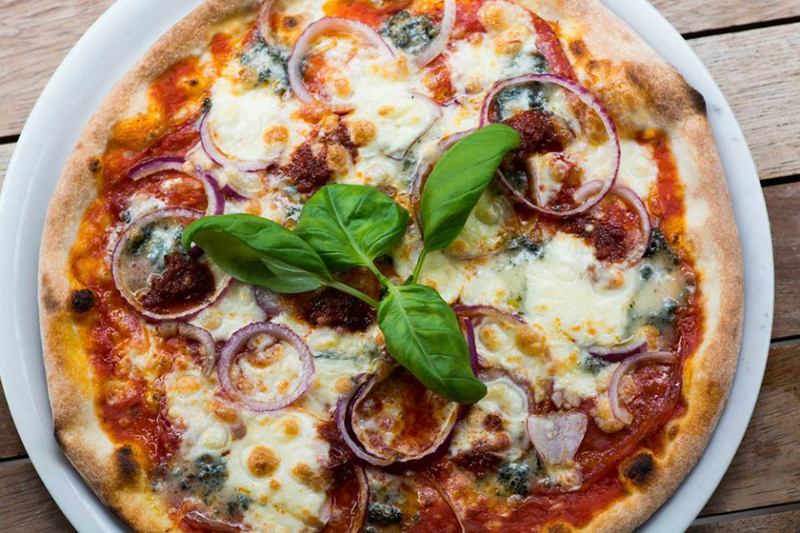 We hope you enjoy all that the city has to offer when it comes to this delicious Italian dish using our 10x Best Pizza in Amsterdam guide. Let us know what your favorite was!